Near the main tourists’ attractions. Xurreria dels Banys Nous: hide in the small streets of Boqueria, this little shop will please you with its cones of hot churros to go for 1.20 €. La Granja Pallaresa Chocolate Restaurant: opened in 1947, it has been serving churros and hot thick chocolate since then. Be careful on the hot chocolate though, it is so thick that a cup for two or three persons is enough. La Granja Dulcinea Chocolate Restaurant / Café: located in the same area as the previous shop, the ambiance is more retro and the decoration atypical. Granja M. Viader: this granja, older coffee which were authorized to sell milk products, opened in 1870. Since then, the menu expanded as the generation took over the management of this coffee. 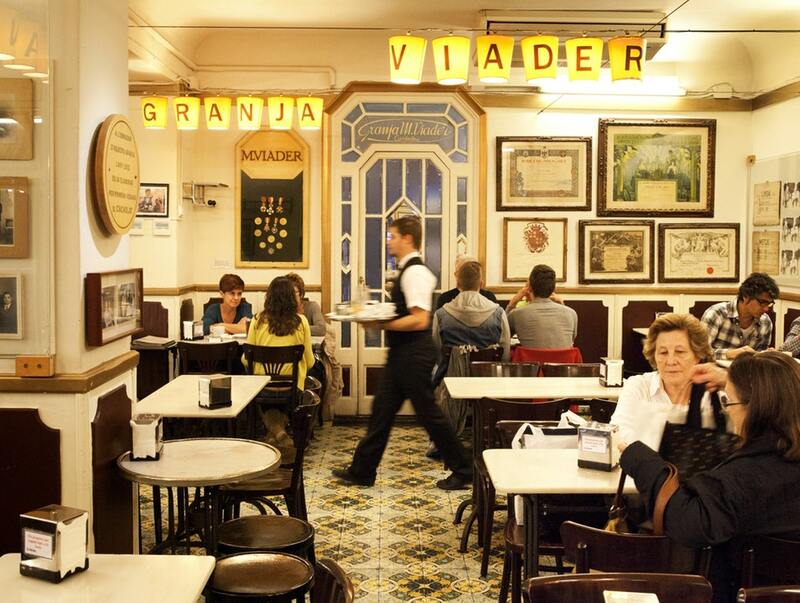 It is the perfect place to stop after visiting la Ciutat Vella. 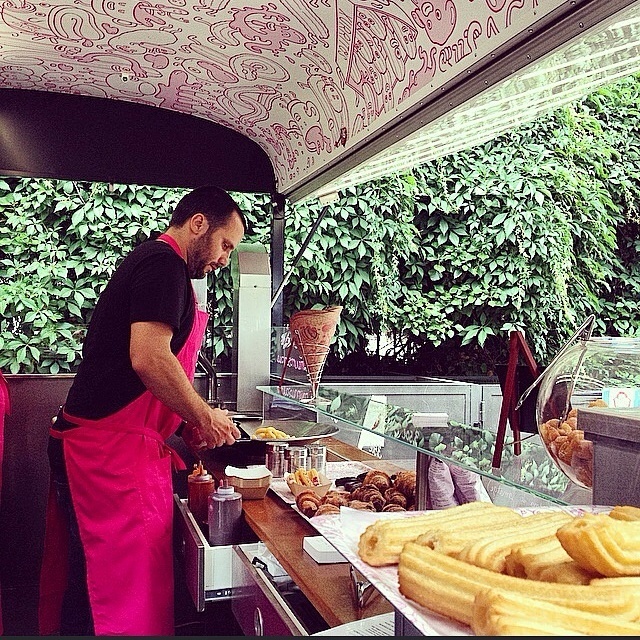 Xurreria Manuel San Román: its owner inherit his dedication to churros con chocolate from his grandmother. A family business then, serving delicious crispy churros, that you can take to go or enjoy a few doors down, in La Granja 1872. Comaxurros: located in Sarria, this place was meant to be the one where the perfect churro is achieve. Some think so. Come and enjoy some then, with the topping of your choice. They also have a food truck! Xurreria El Trebol: it is one of the oldest xurreria in the city. They proposed different churros, included stuffed churros, stuffed churros dipped in chocolate… Their plus? They are opened 24 hours during the weekend, so after a night out, you have the perfect place to go! La Nena: it is a cafe located in Gràcia. Added to the churros and the large choice of pastries and gluten free bread, its shelves are composed of books, cards and boards. The perfect place for children! We hope this article gave you a lot of tips. 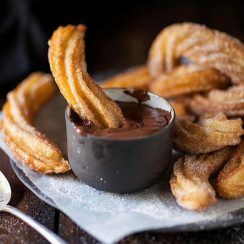 Enjoy the churros con chocolate and your family stay in Barcelona!